What type of prop or location are you willing to let HellCat use for a production? By submitting this application, you agree that you are at least 18 years of age and that all information you provided is filled out as completely and accurately as possible. Any information and images submitted is strictly confidential. 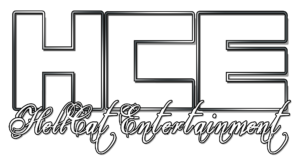 This information is for HellCat Entertainment only and will not be used or sold to any 3rd party companies and/or entities. Please allow us up to 3 business days to respond via email and/or phone call. We grately appreciate anyone who is willing to contribute to our prop and location arsenal!